When news breaks – whether the story of a disease outbreak, a terrorist attack or a natural disaster – people increasingly turn to the internet and social media. Individuals use Twitter and Facebook as primary sources for news and information. Social media platforms – including Reddit, Wikipedia and other emerging outlets such as Snapchat – are distinct from traditional broadcast and print media. But they’ve become powerful tools for communicating rapidly and without intermediary gatekeepers, like editors. The problem is that social media is also a great way to spread misinformation, too. Millions of Americans shape their ideas on complex and controversial scientific questions – things like personal genetic testing, genetically modified foods and their use of antibiotics – based on what they see on social media. Even many traditional news organizations and media outlets report incomplete aspects of scientific studies, or misinterpret the findings and highlight unusual claims. Once these items enter into the social media echo chamber, they’re amplified. The facts become lost in the shuffle of competing information, limited attention or both. A recent workshop about Social Media Effects on Scientific Controversies that we convened through the Center for Mobile Communication Studies at Boston University fielded a panel of interdisciplinary experts to discuss their own experiences and research in communicating science online. These public scholars examined the extent to which social media has disrupted scientific understanding. Most indicated it’s more possible than ever for researchers to participate meaningfully in public debates and contribute to the creation and diffusion of scientific knowledge – but social media presents many pitfalls along the way. Post a lot, know a lot? Our team from the Emerging Media Studies division at Boston University presented new findings that indicate social media can perpetuate misinformation about antimicrobial resistance (AMR) and may contribute indirectly to the misuse of antibiotics. In a nationwide survey, we found that the more frequently respondents reported posting and sharing any information online to social media, they were increasingly likely to be highly misinformed about AMR. This suggests that those individuals most active in contributing to social media were actually propagating inaccurate information. Our finding follows previous studies of online rumors: people are more likely to believe political rumors and share them with others when they’re received via email from friends or family. We also found traditional media use – watching television, listening to talk radio, reading newspapers – was also related to higher levels of AMR misinformation. When taken together, our findings suggest there may be a misinformation cycle taking shape. Traditional media exposure, it seems, can be a source of AMR misinformation. Increased posting of content to social media reinforces misinformation, and in our study those higher levels of AMR misinformation are shown to increase the likelihood that individuals will misuse antibiotics. Eventually, such misuse increases antimicrobial resistance, which makes it harder for us to treat illnesses and may give rise to superbugs. Another panelist was University of Alberta law and public health professor Tim Caulfield, who actively works to diminish the phenomenon he calls “scienceploitation.” He defines the term as when media reporting takes a legitimate area of science and inaccurately simplifies it for the general public. Scienceploitation is embodied in especially egregious “click-bait” headlines. Think the Huffington Post erroneously equating a glass of red wine to an hour at the gym, or the viral hoax study that linked eating chocolate with losing weight. Caulfield himself studies how stem cell clinics market unproven therapies for serious diseases and the way widespread acceptance of these treatments often goes virtually unchallenged on social media. For example, he analyzed Twitter users’ reactions to the (now deceased) former professional hockey player Gordie Howe receiving stem cell treatments in Mexico after a stroke. A vast majority (78.8 percent) of tweets on the topic mentioned improvements to Howe’s health. By contrast, only a single tweet explicitly mentioned that Howe’s stem cell treatment was unproven. Just three tweets out of 2,783 warned that direct-to-consumer stem cell treatments lack the robust body of scientific evidence required for FDA approval. Caulfield’s work has illustrated how social media can be a vehicle for hype that creates insular bubbles of information and online echo chambers. In these spaces, ideas and misinformation can readily be reinforced because of the lack of diverse viewpoints and critiquing of ideas. Mediated by screens, online communication can quickly devolve into uncivil discourse. 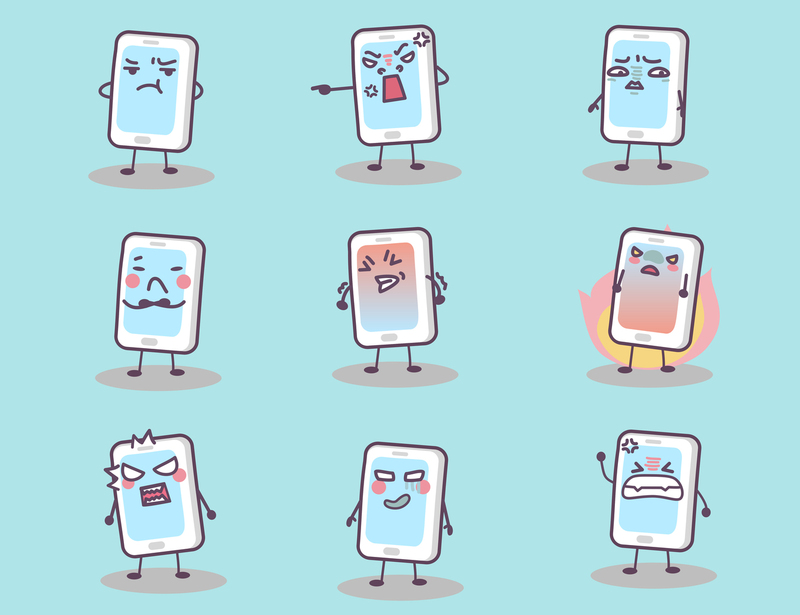 Angry phones via www.shutterstock.com. Beyond misinformation, hype, and other forms of scienceploitation on social media, there is at least one other serious threat to the effective communication of science online: the lack of civility in online and social media forums. Exposure to uncivil comments can increase polarization among users, particularly related to science topics, such as nanotechnology, and perceptions of risk. In another study, we found that civility and politeness decrease when users post comments to social media from mobile devices – a growing issue as more and more people access social media this way. It was outraging – a 15-minute advertisement for this clinic in Mexico. There was no critical reflection at all…. I tried to engage Keith Olbermann and start talking [on Twitter], and what does he do? He blocks me. Kevin Folta from the University of Florida, one of the more visible and prominent scientists in the field of genetically modified food, has had similar and even more extreme experiences. At our workshop, he reported receiving bomb threats at his home. He’s often the subject of hostile personal memes, as are many users who actively participate in the debate of scientific facts on social media. Getting to the root cause of why the discourse devolves so quickly online is difficult. Psychologist John Suler described ingredients that contribute to what he identifies as the online disinhibition effect. Posting to strangers, anonymously, semi-anonymously, or with pseudo accounts factors in. Commenters aren’t face to face with each other and are able to dissociate from the fact they’re dealing with other human beings. Altogether this forms a rationale for why users tend to become uncivil and aggressively defend content that may not even be accurate. Further, the perceived nasty climate of public opinion in social media spaces may also lead the less outgoing to remain silent rather than enter into a debate where their views may not be treated with respect. There is a disconnected arrogance that turns off the public and does not get them excited about learning more. Social media and the internet are a conduit of bad information. On social media it’s easy to find information that scares you and scientists are not participating in trying to make it right. Piper Below, an epidemiologist from the University of Texas Health Science Center at Houston, is a proponent of scientists productively engaging online. She told our workshop that the social media platform Reddit is the greatest opportunity for scientists to accurately get the word out to the public about their research. Yet even Reddit can leave scientific findings opaque if information is presented in a dense way not easily accessible for a broad public audience. Some scientists and agencies are pursuing new modes of communication, such as brief scientific animations to summarize and share research. The goal remains increasing understanding and minimizing potential distortion or oversimplification of scientific findings. But these short videos, such as the one we developed for our AMR study, as well as interactive online modules, offer ways to reshape information campaigns. Social media has been transformative in how it has democratized communication. But it’s a double-edged sword: social media allows scientists to correct misinformation by communicating their findings with public audiences to promote an understanding of complex issues. Equally dangerously, though, social-media activism has the potential not only to distort public understanding of these critical issues but also to disrupt governmental support and policy regulations.